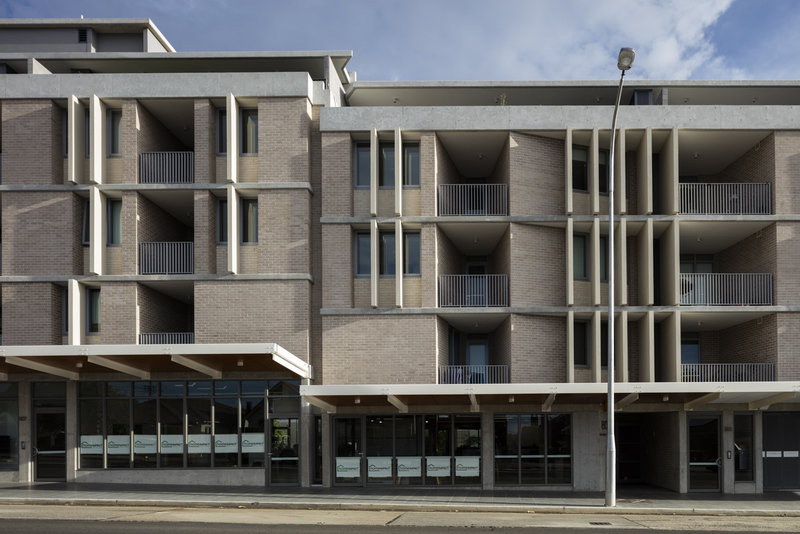 Situated in a residential area of Dulwich Hill the 5 storey development makes a strong and considered new contribution to the streetscape. 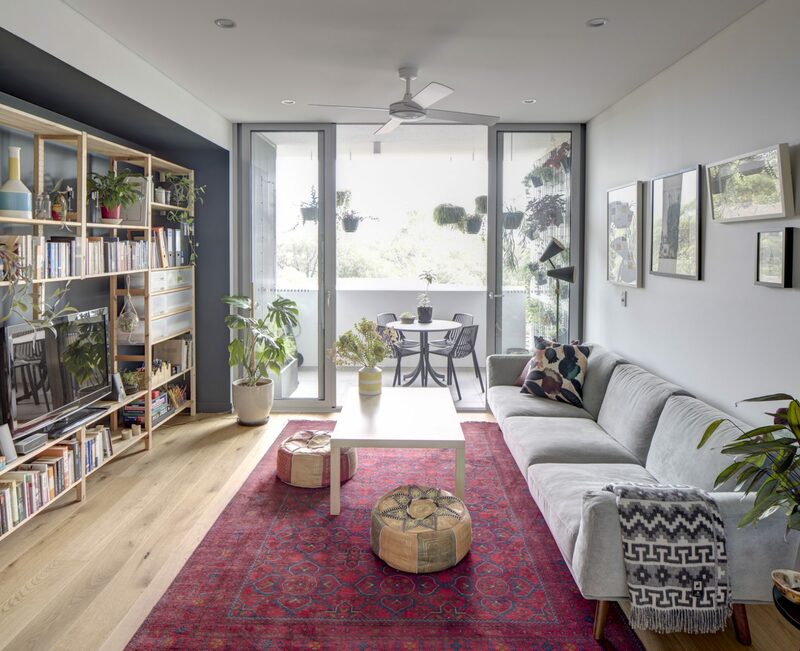 It contributes to the demand for inner-city living and ongoing medium density developments occurring within the locality. 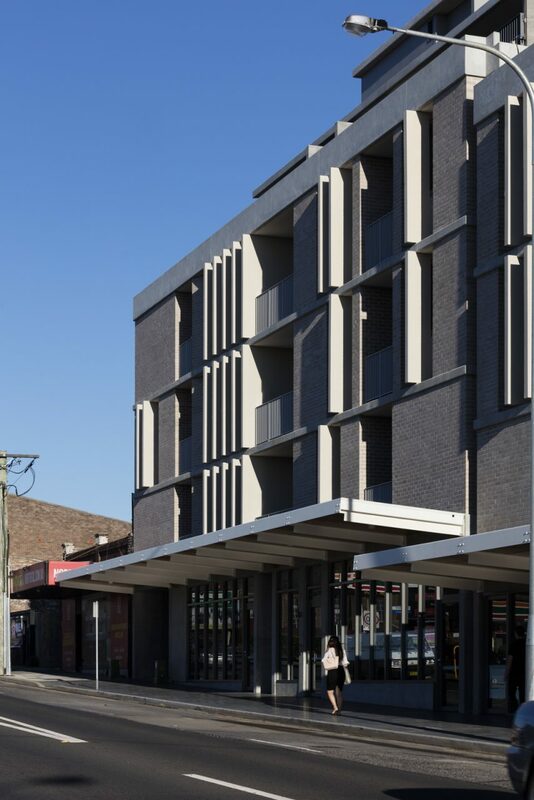 The scale of the design is in keeping with the desired character of New Canterbury Road, the commercial aspect of the development is clearly articulated to the street bringing an active street frontage and new amenities to the local area. 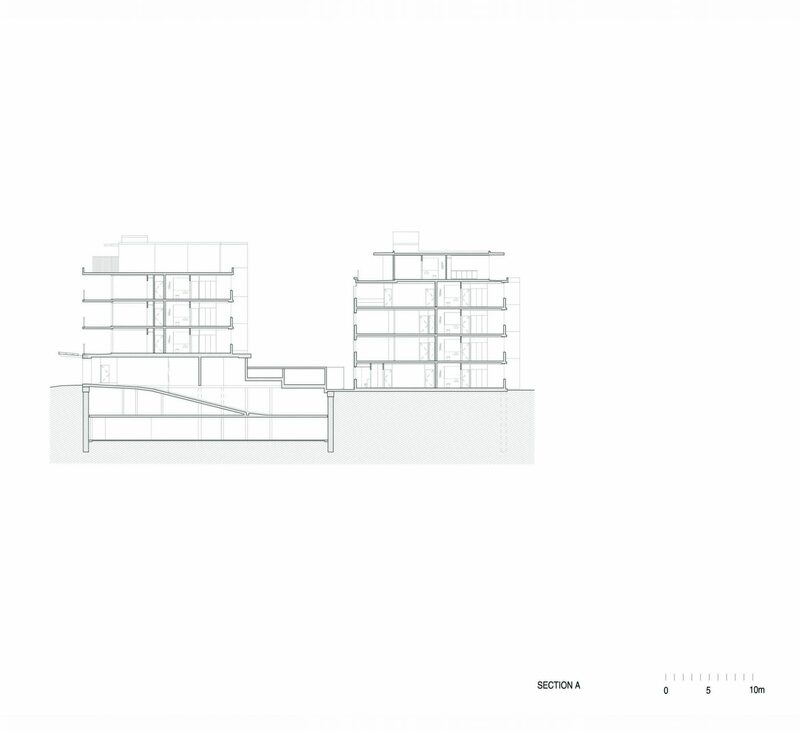 The façades are well articulated and form a rhythm, with the use of recesses and expressed material junctions, creating a play of shadows and light. 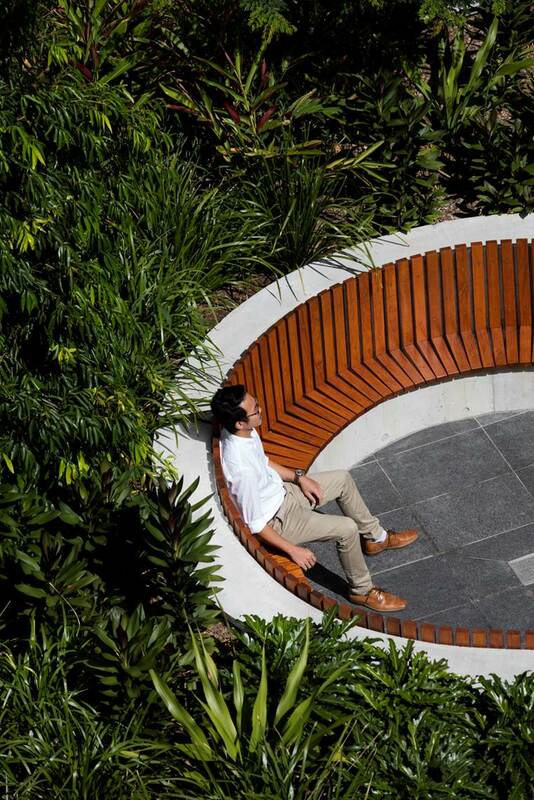 The development dedicates a large area of the site to external space, incorporating lush landscaping and private outdoor spaces. 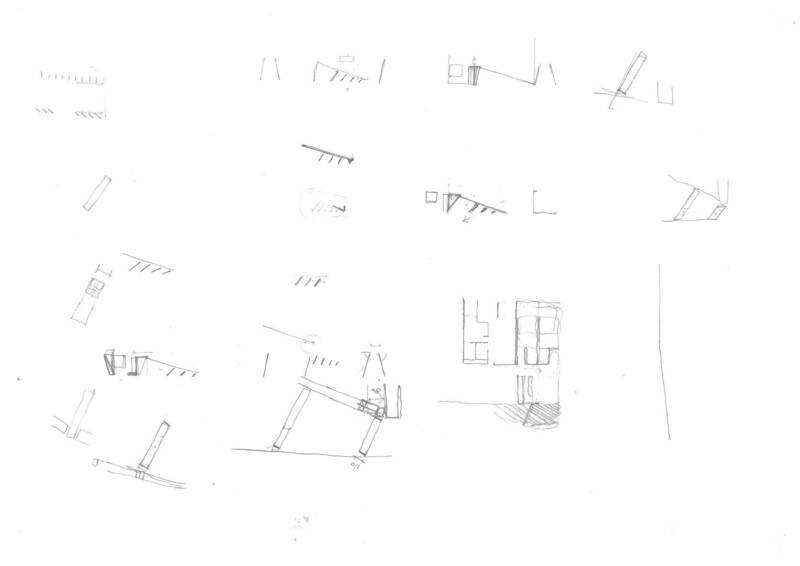 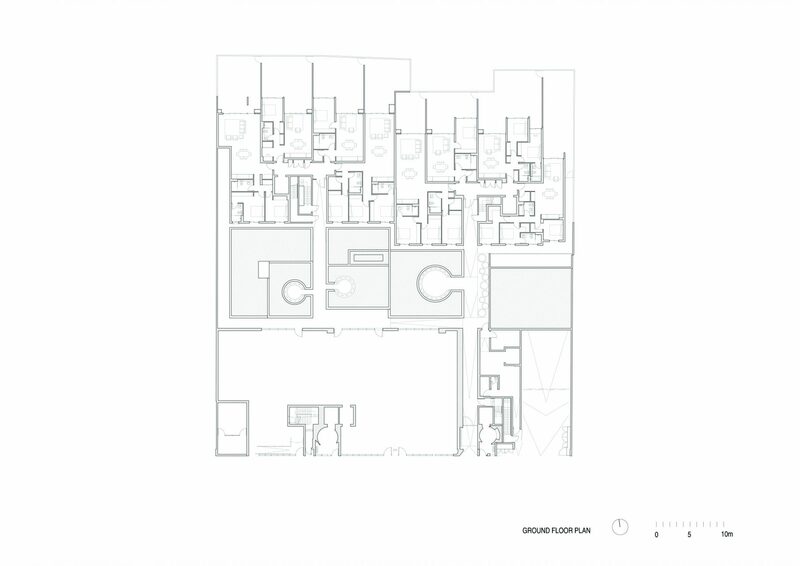 The proportions of the courtyards are an important consideration within the development. 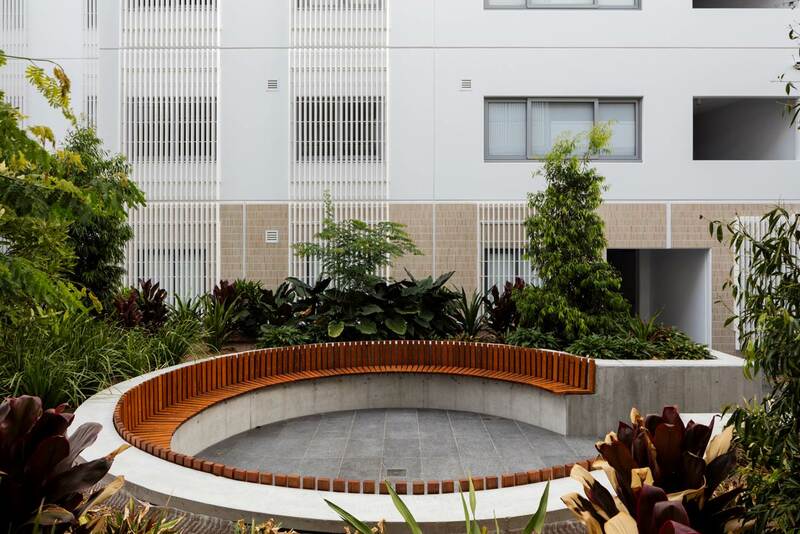 The generous internal courtyard between the two buildings provides functional and inviting communal space. 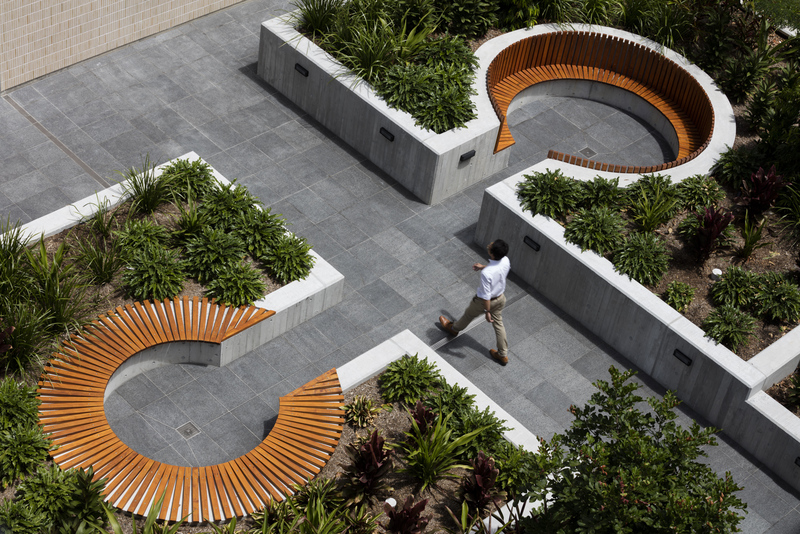 Timber seating, extensive landscaping and level changes create a landscape of thresholds, providing a sanctuary to reflect and unwind within the inner city. 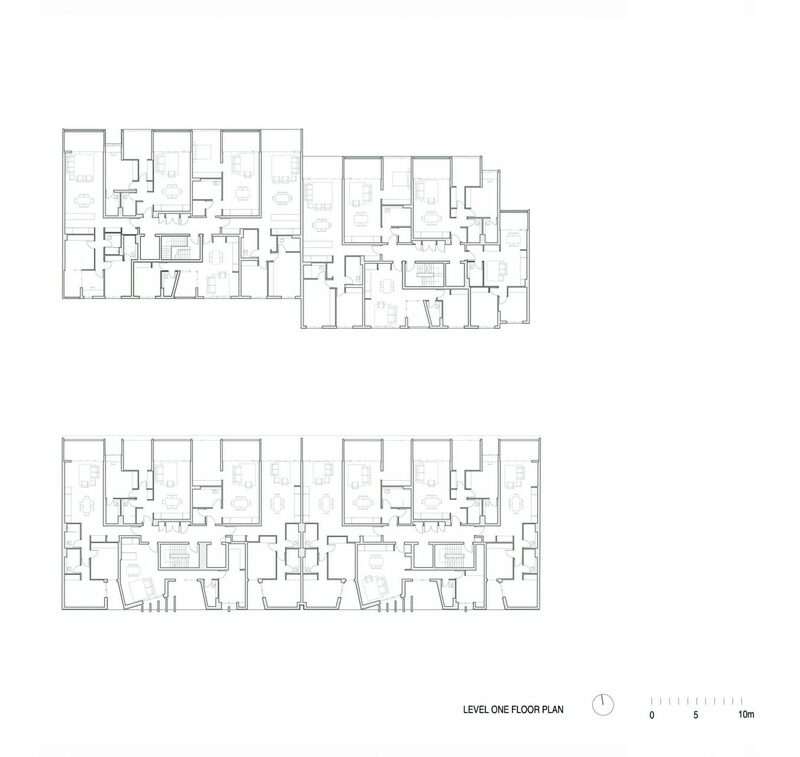 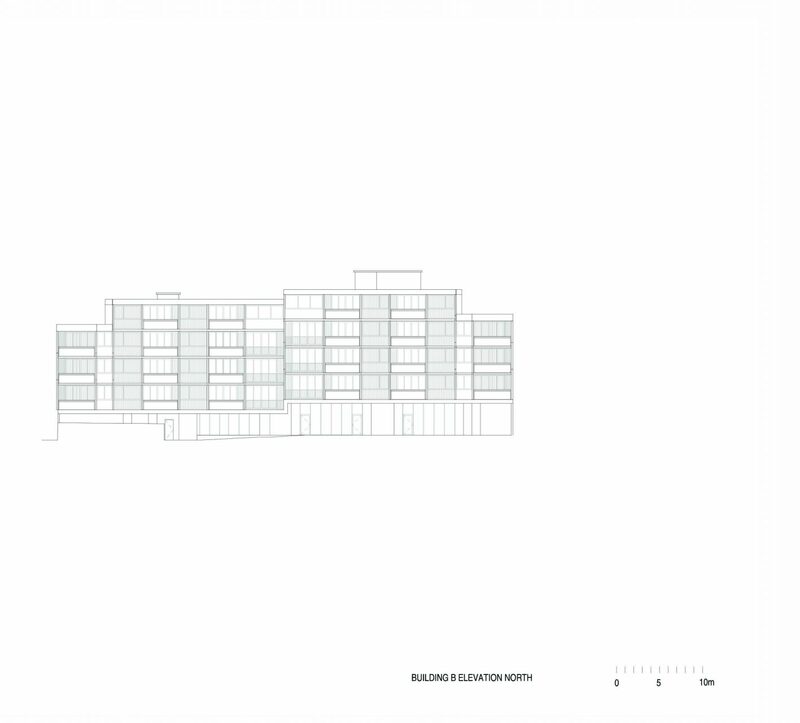 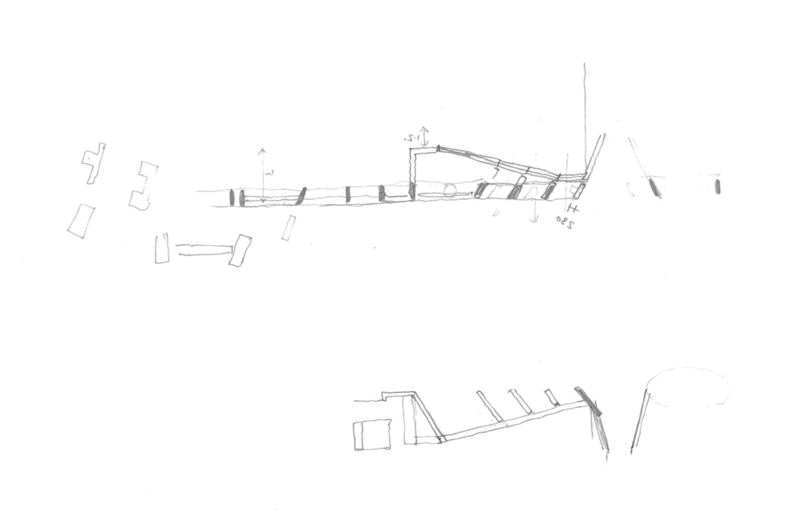 Separating the development into two buildings and orienting living spaces to the north has allowed for natural light to penetrate deep into the plan. 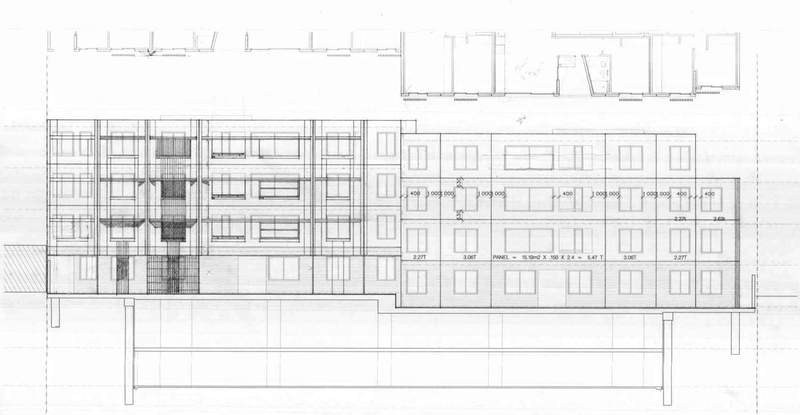 As the building steps away from the northern boundary each ground floor apartment has been given a private outdoor space. 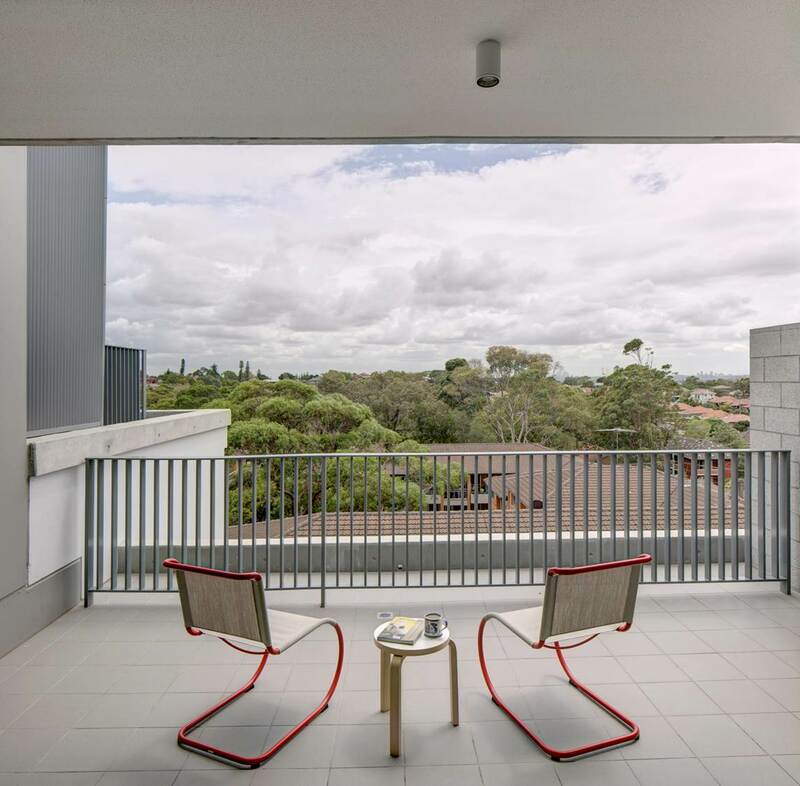 Apartments on levels 1 – 4 have deep balconies, providing an outdoor area for residents to enjoy. 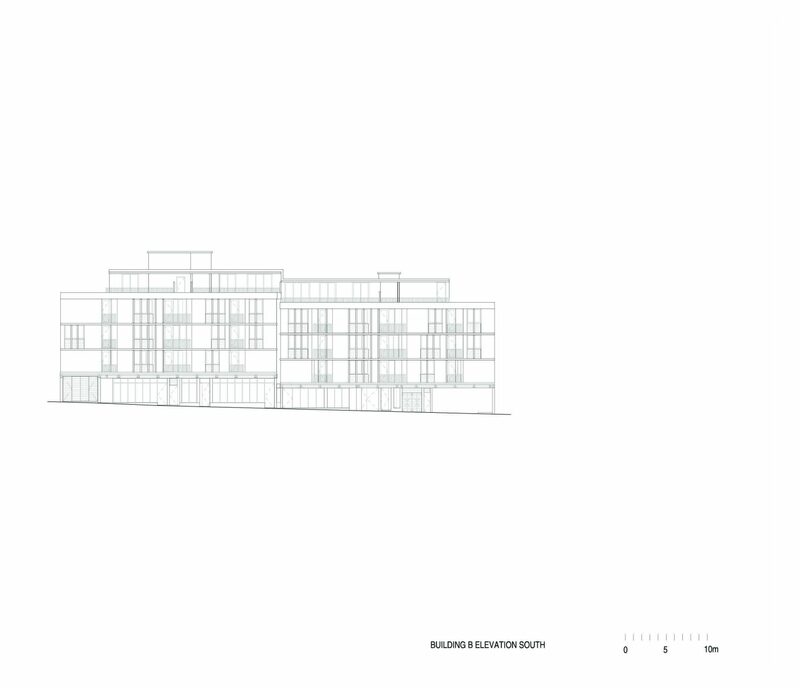 Through operable windows, doors and screens, cross ventilation is provided throughout the two buildings. 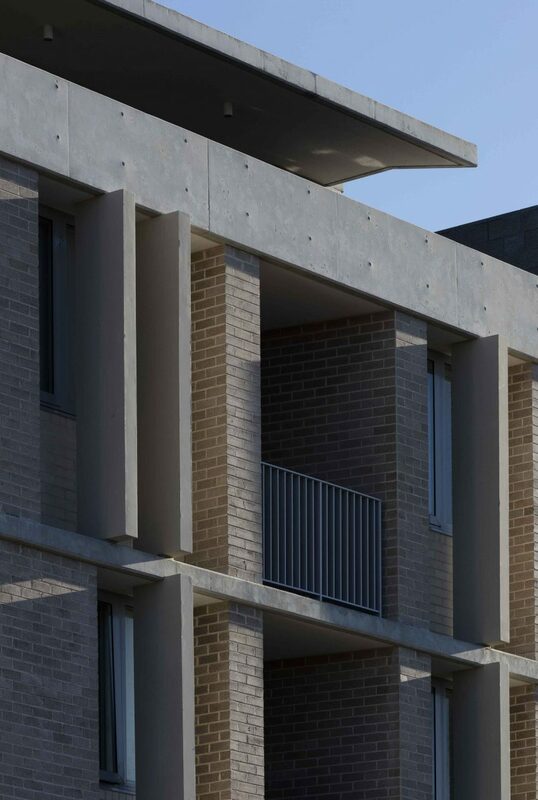 Expanses of brick and concrete create large areas of thermal mass allowing the building to utilise passive heating and cooling strategies. 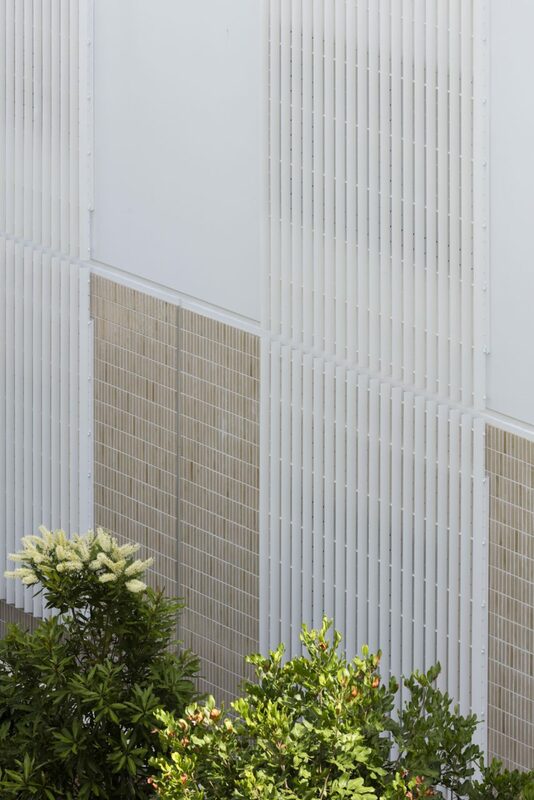 On the human scale, finer detailing of concrete blade walls, face brick and aluminium privacy screens serve to break down the façade whilst maintaining privacy. 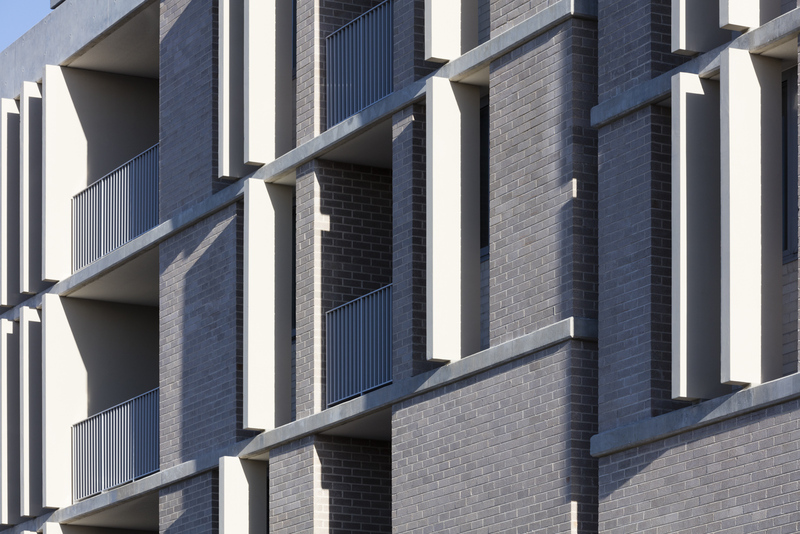 The choice of material, colour and texture has been carefully considered with respect to the surrounding natural and built environment. 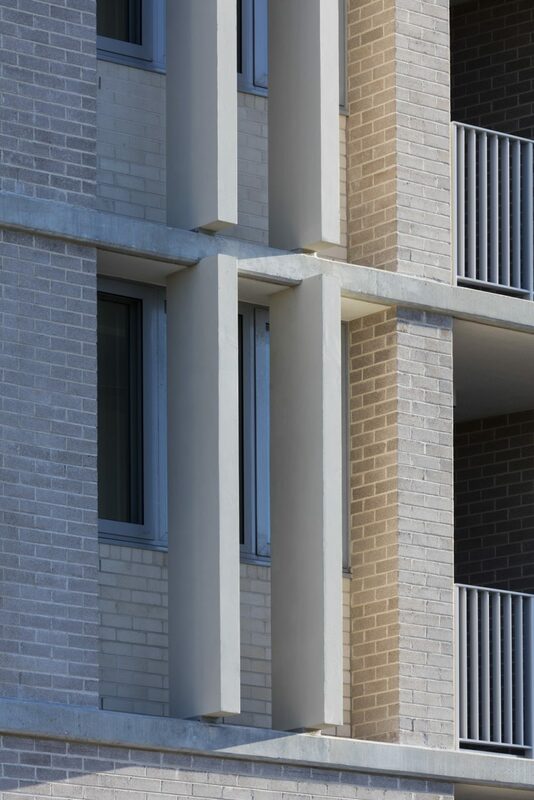 Metal, brick and concrete detailing are used with special attention given to the articulation and proportion of elements, including expressed concrete and face brick to the New Canterbury Road façade.